Ultra compact, this high reach paint model provides a reliable and precise painting and coating solution for a huge range of industries. An affordable choice, it benefits from a long reach and internal cabling. With a handling capacity of 10 kg and an extended reach of up to 1,800 mm, this precise and affordable model is the ideal painting and coating solution for almost any industry. Inner diameter of 68 mm from J4 to J6 arm to achieve top product quality by eliminating contamination from debris falling from exposed paint hoses. 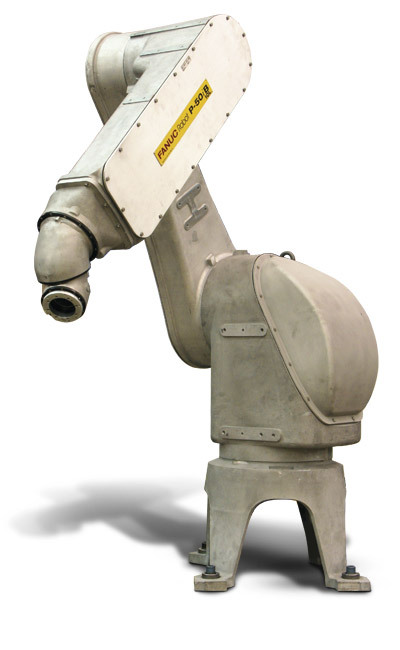 Robot is entirely ATEX (explosion proof): Category 2, Group IIG (previously zone 1). Robot can be mounted on the floor and on the ceiling without any restrictions. 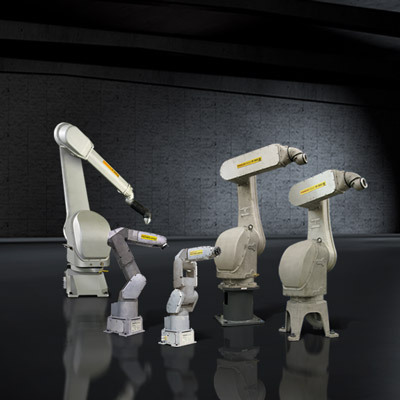 Ceiling mounted robots provide easier access to the machine being serviced and the part load/unload area.